Waiting for its partners to have necessary systems in place, WhatsApp in February released its payments system in a Beta update to check its stability. It was only two months later in April when certain users noticed a new 'Request money' feature being introduced through an invite system which immediately let users set up their UPI-based payments profile and start sending money. Once you receive the invite, hit the '+' icon on iOS app or the attach icon on Android to see the 'Payments' option show up. This option can also be accessed in the settings menu. Once that is ensured, WhatsApp will be automatically able to fish out the account number linked to your phone number and will then ask you to set up a UPI ID. If you have one then you'll just need to enter you VPA and verify your debit card and you are set. WhatsApp does not add an extra layer of security like Google does with its Tez payments app, but you do need to verify each payment using your UPI pin. Once set up, all you need to do is enter an amount and verify it using the UPI ID and the amount will be credited to the recipient's account. 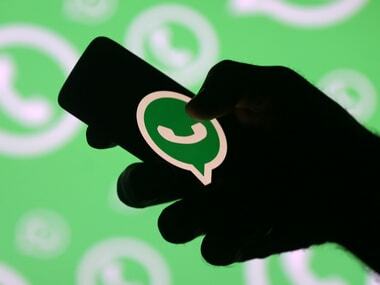 Facebook-owned WhatsApp is yet to announce anything officially yet, but with pressure from competitors Paytm and Google Tez, Facebook may go ahead and announce a widespread roll-out by next week, despite SBI's systems not really ready yet.